The future of the workplace is all about creativity and collaboration. Having spaces designed specifically to improve the way individuals and teams work. Technology is key to improving collaboration, it allows people to work today without being physically present. The demands of the modern office are constantly evolving and often are defined by the advancement in technology. Workplaces are being designed to accomodate changes in trends and worker requirements. The workplace must be modular and able to adapt and maximise the space available, therefore agile working will continue to rise along with modular soft seating, collaboration work stations such as pods, huddle meeting spaces and breakout furniture. This helps to create an adaptable and flexible environment, allowing workers to decide where to work instead of being fixed to one desk all day. Wireless charging devices, built-in power and data in furniture allowing users to connect and work effectively. Sit/stand desks continue to promote a healthy office environment and improve with writing surfaces on walls and desks to encourage group discussion and collaboration. The combination of home life and working life will continue to increase through the modern office, more businesses are creating comfortable areas to give employees a place to relax and work quietly. 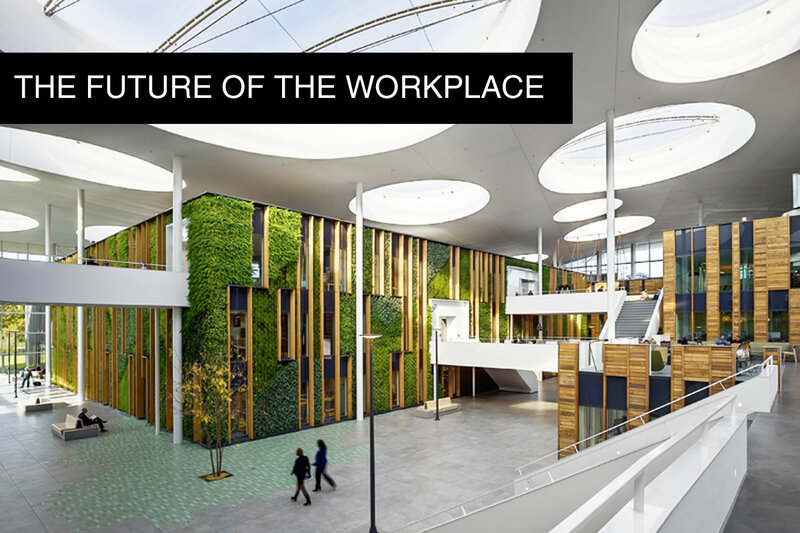 Greenery in the office, where employees spend an average of 8 hours indoors will be more prevalent due to proven studies which demonstrate how bringing the outdoors, indoors has a positive effect on people’s health and wellbeing. Expect to see more plant life and natural daylight in the office. The developments in the workplace aim to improve the productivity of workers and increase the overall enjoyment of being at work. At the heart of this is the need for specialist, integrated AV/IT designed furniture that is fit-for-purpose and is available when you need it – ‘it’s ready-to-go’ everytime. Get in touch with a Dalen consultant today to find out how we can transform your workplace and meeting spaces to the ‘office of tomorrow’.